By Sia in Desktop. October 27, 2016 . Over the past few weeks, word has been going around that Microsoft is readying an All-in-One that will be making its debut during the event. Today, we’ve finally gotten a glimpse of the device, and it is one that is tailor-made for designers and creators. The device is called the Surface Studio, and from the looks of things, it’s going after the iMac user base. There are two key features of the Surface Studio: the monitor and the components. We begin by taking a look at the monitor. 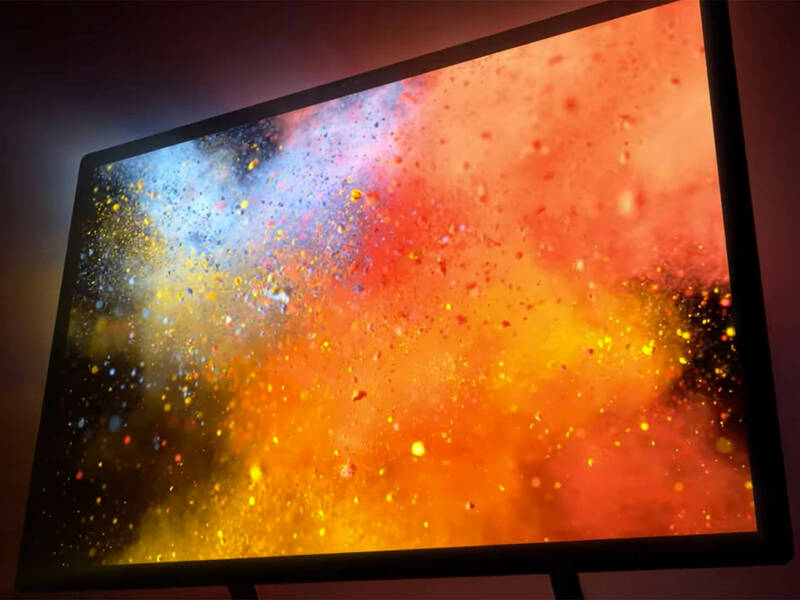 The Surface Studio comes with a 28″ Pixelsense display that has a thickness of just 12.5 mm (the embedded technology looks like a reincarnation of an early Microsoft Research project, aptly named Surface, then PixelSense). Microsoft boasts that the display beats out a modern day 4K display in terms of pixel density. With the screen packing 13.5 million pixels at a resolution of 4500×3000, the Surface Studio’s monitor is 63% denser than your average 3840×2160 display. Raw pixel numbers aside, the Surface Studio’s monitor comes with TrueColor technology, allowing for better color reproduction. The monitor can also freely toggle between sRGB mode and DCI-P3 mode, which is a godsend to designers. Apart from the screen, the monitor also comes integrated with a 5MP Windows Hello-ready front camera, a 10MP rear camera, and a microphone array for Cortana use. This massive screen is also a 10-point multi-touch screen and can be switched between desktop mode to studio mode with a special zero-gravity hinge. A designer requires a powerful set of tools to ply his trade with, and Microsoft did not skim on the components for the Surface Studio. This All-in-One is capable of sporting an Intel quad-core Skylake processor, 32GB of RAM, 2TB of storage space, an integrated 270W PSU, and an Nvidia GeForce GTX 980M graphics chip. All of the components are packed into an unassuming white box located below the screen with only a single wire running out of it. 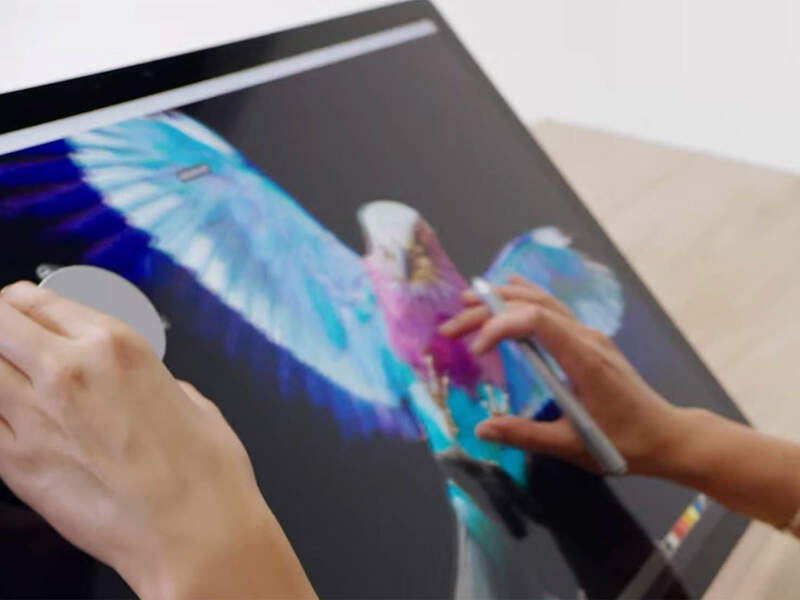 Other features of the Surface Studio includes four USB 3.0 ports, an SD card reader, an Ethernet jack, a Mini DisplayPort-out, 802.11ac wireless connectivity, Bluetooth 4.0, and a headphone jack. 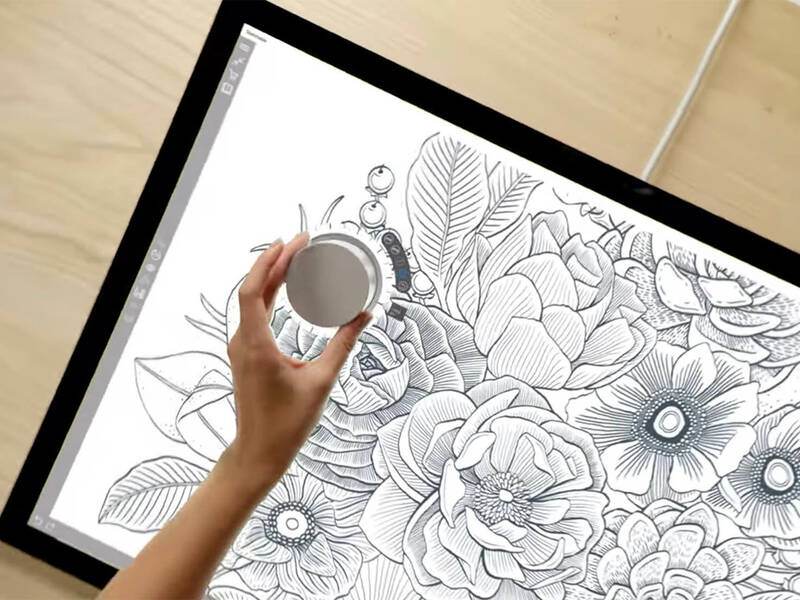 As the Surface Studio is part of the Surface line, it will be compatible with peripherals such as the Surface Pen, the Surface Keyboard, and the Surface Mouse. On top of all that, a new input peripheral will be making its debut: the Surface Dial. The Surface Dial works very much like those dials you see on old radios. The only difference is you can do a whole lot more with it once you place it on the screen of the Surface Studio. 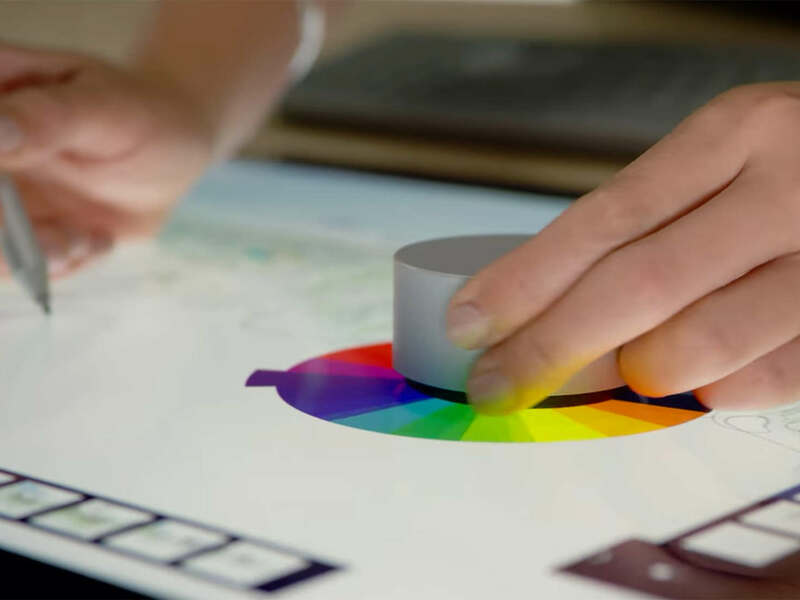 The Surface Dial will allow users to manipulate color selections just by turning the dial, allowing you to change colors on the fly. The 6cm-wide, 3cm-tall dial also works off-screen, allowing you to adjust the volume on song on Groove Music, scroll through articles and tilt in 3D or fly through Windows Maps. 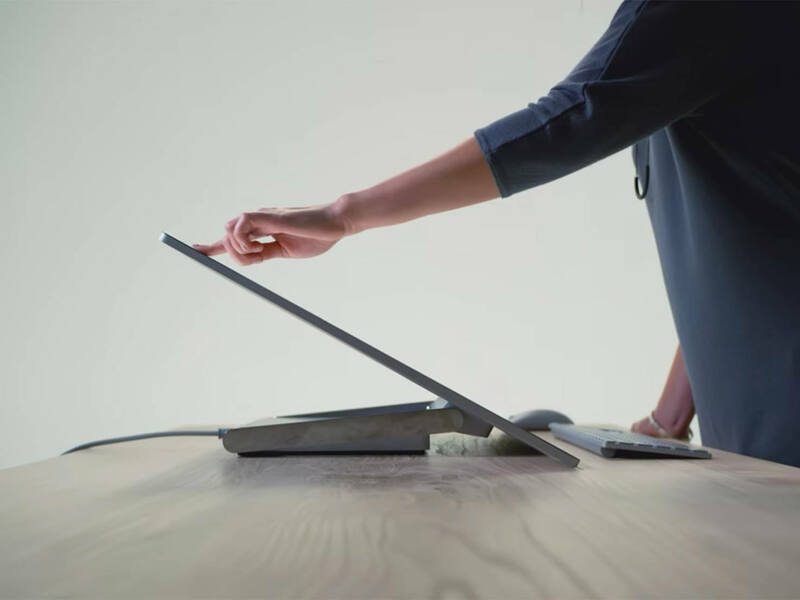 It comes with haptic feedback and works with Surface Book and Surface Pro 4. The Surface Dial is only available in one color and is battery-powered. You can get yours for $99.99. Surface Studio will have a starting price of USD2,999. Pre-orders for the All-in-One will begin tomorrow at Microsoft Stores, Microsoft’s online store, and BestBuy.com. A limited amount of Surface Studios will be shipped out during the holidays but broader availability will be available by early 2017.